US-based ConocoPhillips has cut a deal with China’s Sinopec to jointly study shale gas development in China, where the US company’s hydraulic fracturing is in high demand. Last week, China’s Sinopec Group announced that ConocoPhillips (COP) would jump on board in the Sichuan Basin in a two-year deal to conduct exploration research and develop shale gas production. The Sichuan Basin is believed to contain vast amounts of deeply embedded shale gas, and Beijing is on the fast track to boost its shale gas and tight natural gas reserves as part of its strategy to increase its reliance on cleaner fuel. The situation is urgent for China, which is in the running for the world’s third-largest consumer of natural gas—just behind the US, Russia and Iran. But China lacks the fracking technology and experience that has pushed along the shale revolution in the US. Sinopec is the China National Petroleum Corp, and ConocoPhillips signed the join research deal with Sinopec subsidiary, Sinopec Exploration Southern Company. Research will be conducted in the Sichuan Basin’s Qijang block and will involve the conducting of seismic surveys and the drilling of two wells. ConocoPhillips is the third major international company to join in the China shale play. Earlier in December, Royal Dutch Shell Plc signed a deal with Sunwing Zitong Energy Limited—a wholly-owned subsidiary of Canada’s Ivanhoe Energy Inc. to acquire 100% of the company’s interests in the Zitong natural gas block in Sichuan. Beijing has already approved the deal. At the same time, Shell also signed a production-sharing agreement with Sinopec and Mitsubishi Gas Chemical Company Inc. Shell is the operator and holds 90% interest, with 10% for Mitsubishi during exploration and development. The Zitong block is just over 1,000 square kilometers north of the Junqiu block in the Sichuan Basin. If it had the technology, China would quickly overtake North America in terms of shale gas. Its reserves are probably greater than those of the US and Canada combined. 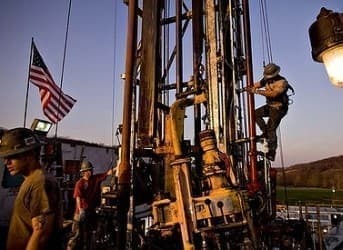 According to the US Energy Information Administration (EIA) in just two basins alone—Sichuan and Tarim—there are some 1,275 trillion cubic feet (36 trillion cubic meters) of recoverable shale gas. Yet, it lags far behind in terms of development, let alone production. Geologically it’s a bit tricky, and the water resources necessary for fracking aren’t there—so that’s an expense for anyone involved in development. However, with foreign companies with the right technology and experience entering into play, the prospects are very attractive—though payout is years away.